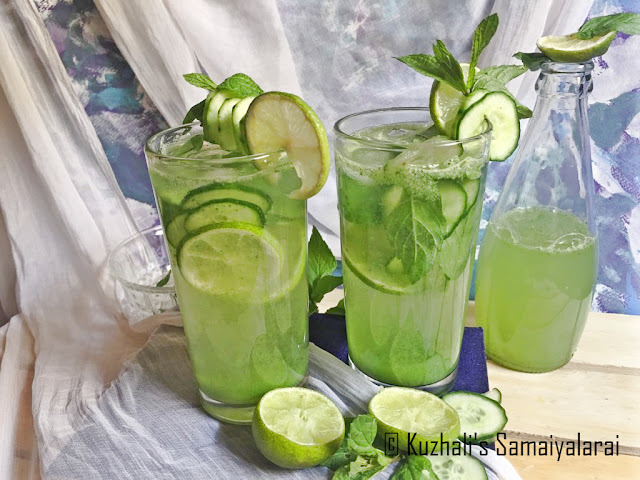 Cucumber mint juice is a easy refreshing juice recipe that can be made in ajiffy. It is definitely a different one than our regular lemon juice and perfect to serve for guests in these hot days. As the name says the main ingredients are cucumber & mint.other than these two , another taste giving ingredient is lemon &honey. 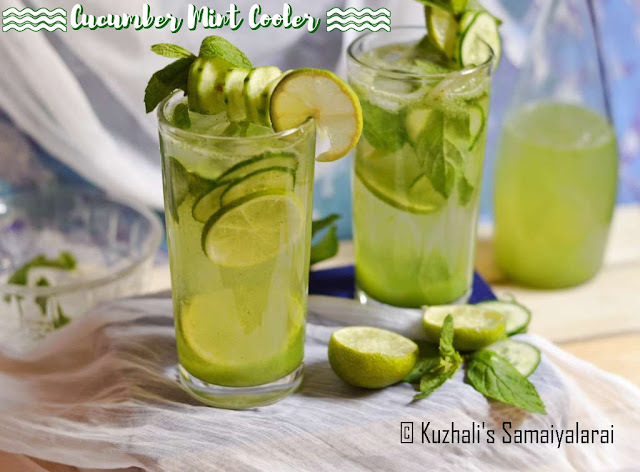 As all the ingredients used are good for health, definitly this cooler is so good for health and a perfect body coolent. Wash and peel the skin of the cucumbers and chop them into small pieces. 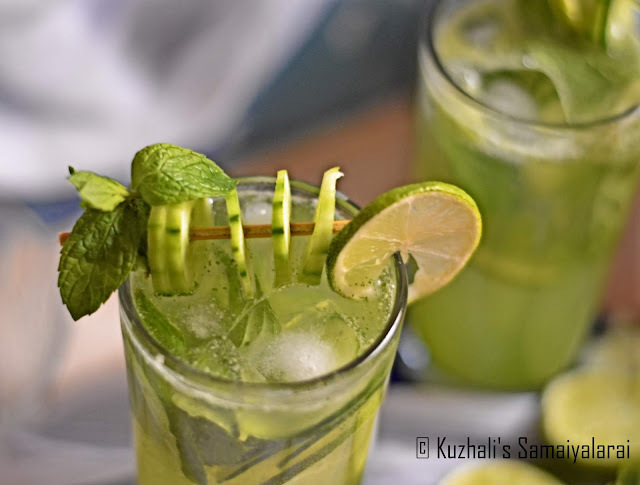 Wash and keep the mint leaves ready. 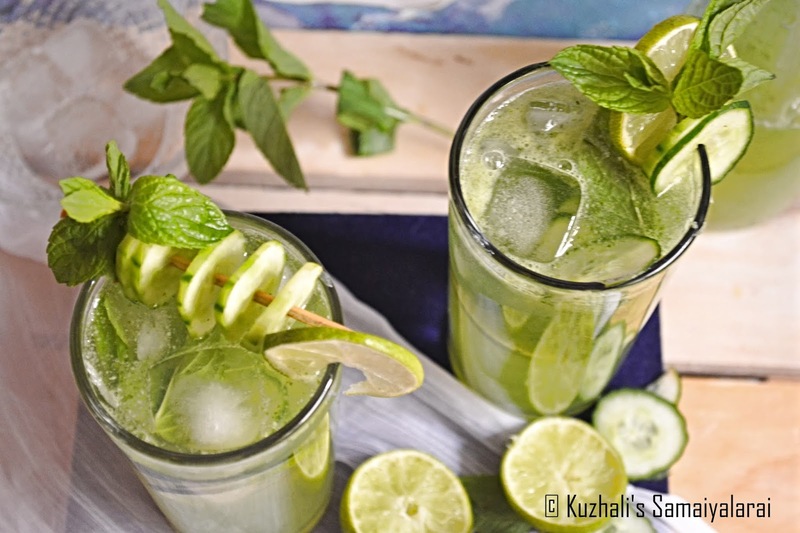 Blend the cucumbers, water and mint leaves into fine. Then sieve the juice using a fine sieve. Add the honey, lemon juice and salt. Mix well. In a serving glass add few slices of cucumber, lemon wedges and mint leaves. Add few icecubes and then pour the juice. Serve chill…. Adding honey is optional, actually we like to drink with salt only. But adding honey also gives different taste to the drink. Instead of honey you can use sugar or jaggery too. Some cucumber skin will be having little bitter taste, so peeling is necessary. 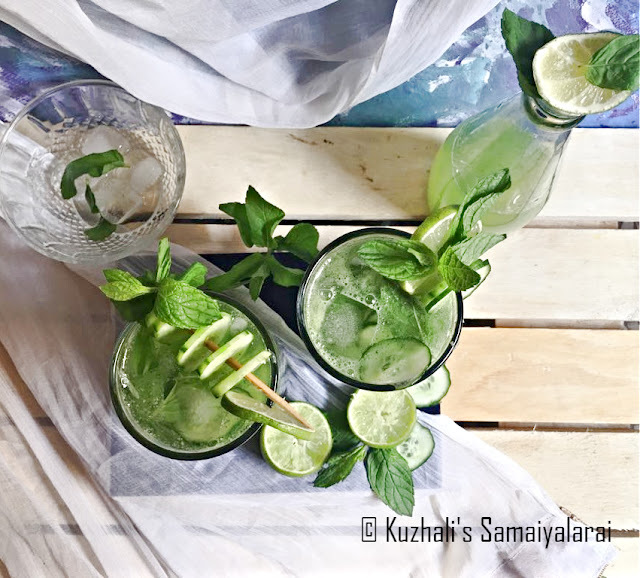 Blend the cucumbers, water and mint leaves into fine. Then sieve the juice using a fine siever.